For this fashion editor obsessed with tennis, it's officially the best time of year: the start of Wimbledon. You've got the tennis GOATs (Roger Federer, Serena Williams) on the freshly cut grass, while the fashion GOATs (Anna Wintour, Kate Middleton) will soon be holding court in the well-dressed stands. The tournament hasn't seen too much celebrity action yet, so I decided to throw it back to July 2016 when future sisters-in-law Kate Middleton and Meghan Markle both attended the Grand Slam in contrasting outfits. 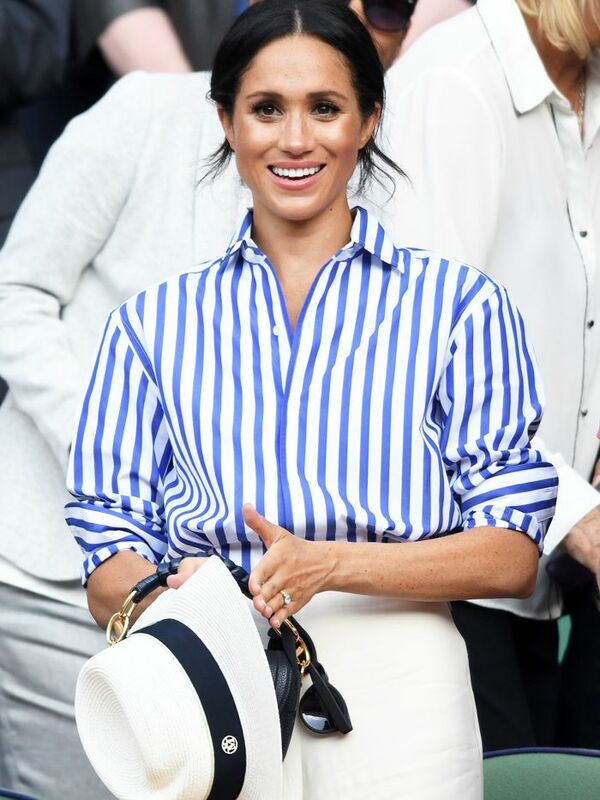 (Fun fact: Markle told Vanity Fair she met Prince Harry that very same month.) Markle wore an understated black wrap dress, while Middleton went for a cheery yellow Roksanda dress. Scroll down to see what they wore back in 2016.